cost more than 25 cents. The very first scent I can ever remember using was Tinkerbell toilet water. Actually, I think it belonged to my sister, but that didn’t stop me from “borrowing” it. I’d liberally douse myself with its sweetness before I headed outside to play. The scent lingered about as long as it took the alcohol in the water to evaporate, and that most likely was a good thing. The smell of baby-powder mixed with a six-year-old's sweat couldn’t have been a good combination. 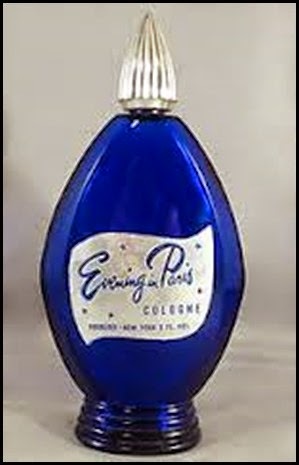 From Tinkerbell, I graduated to Evening in Paris, which once again I borrowed--this time from my mother. In fact, it was the very bottle I’d bought for her at Woolworth’s for Christmas. For some reason, she didn’t use it much herself. Junior high and high school found me reeking of Heaven Sent. I didn't personally care for the smell all that much, but the TV ads insisted it would make me "a little bit naughty but heavenly," or --I'm almost too embarrassed to write this-- like "an imp wearing angel wings." So I went with it. 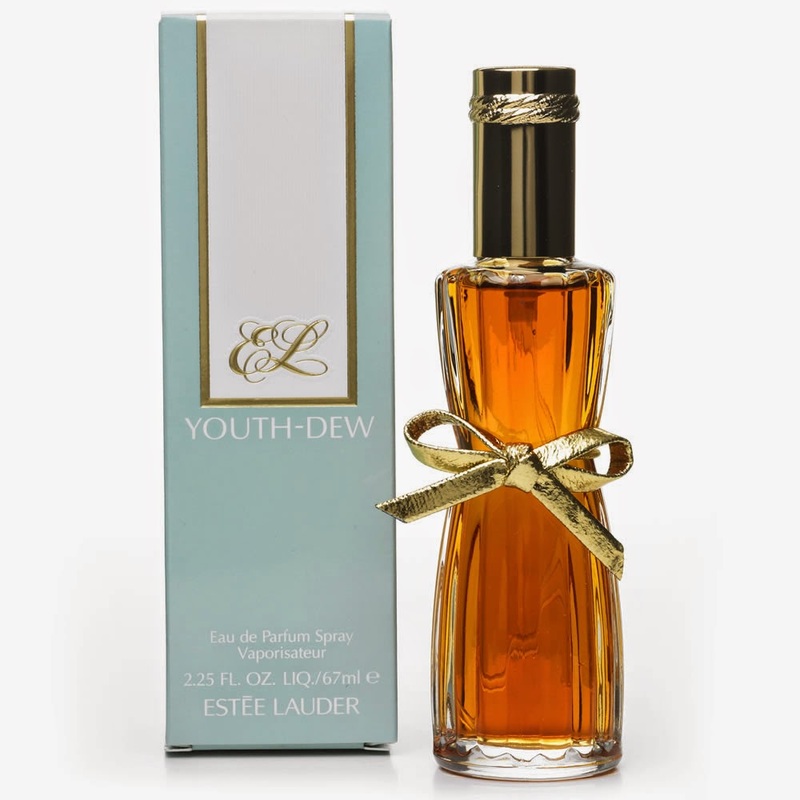 My first gift of perfume from a boy was—what else in the late ‘60s?—Youth Dew by Estee Lauder. I loved it then, but now...pee-YOO! And as I think back on it, I suspect the boyfriend might have distributed several bottles of it. pee-YOO to him, too. rather than the actual scent. Fortunately, in the ensuing years, my taste in smells (does that even make sense?) grew more sophisticated and, I hope, more subtle. And these days, my favorite fragrances don’t come from a fancy bottle at all. The original intent of this post was to write about those, but as you can see I got sidetracked. I hope you'll check out my next post when I share my current favorite perfumer. In the meantime, do you have some nasal nostalgia you'd care to share? Love reigned for me. Love's Baby Soft, Love's Lemon, Eu de Love. And when Love just wasn't enough anymore, I graduated to some green apple smellum that my sister had - because clearly smelling like fresh fruit was more mature than smelling like baby powder! I recently came upon a list I wrote in high school of scents and the "boys that went with them." The list included Kiku, Charlie, Music, Cachet, and You're the Fire -- boys' names irrelevant. ;-) Hysterical. Natine, After reading your recent blog post and this comment, I'm wishing I'd have written more in my teen years. But I don't think I was as creative as you. "Scents and the boys that went with them"--priceless!